The remastered top-down twin stick arena shooter. Crimsonland is coming to Switch on November 24, developer 10tons announced. It will cost $13.99 / €13.99. The remastered version of the 2003-launched top-down shooter was first released for PlayStation 4 and PC in July 2014, followed by iOS that September, then Xbox One in October 2015. 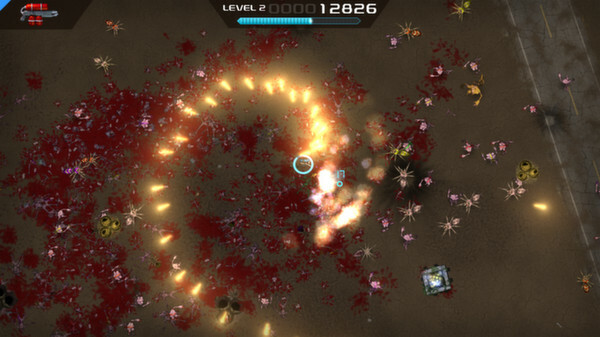 Crimsonland is a top-down twin stick arena shooter. Hallmarks of the game include the epic endless Survival mode, massive amounts of monsters on the screen simultaneously, dozens and dozens of weapons, perks, and levels, as well as immensely gratifying power-ups. The game also features local co-op for up to four players.